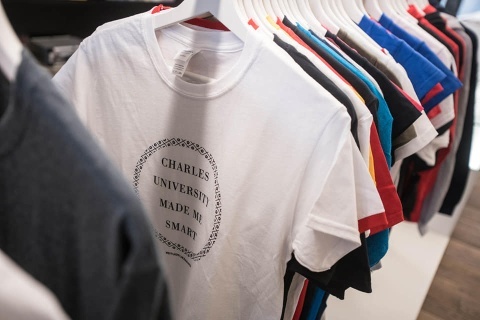 Charles University’s gift shop officially reopened for business at Celetná 14 last week. The university shop first opened in 2009. Ten years on, the shop has gotten a major redesign and the long history of the school is reinforced by artistic elements such as a reprint of the school’s founding charter and other details which should attract curious passers-by. T-shirts and other tops come also in sizes for children. Come and make yourself or your loved ones happy. You can also find the offer of university goods at eshop. Charles University is opening the call for applications for the 4th round of the Primus competition. Primus is a Charles University programme that supports talented young researchers with international experience to establish new research groups and laboratories at individual faculties or institutes of Charles University. Young scientists selected from all branches of science will be supported to run their own independent teams for a period of 3-5 years. Financial support up to four million Czech crowns will be granted annually. Emphasis will be given to research excellence and independence of the applicant and novelty of the project. Foreigners and applicants currently working outside the Czech Republic are especially encouraged to apply. 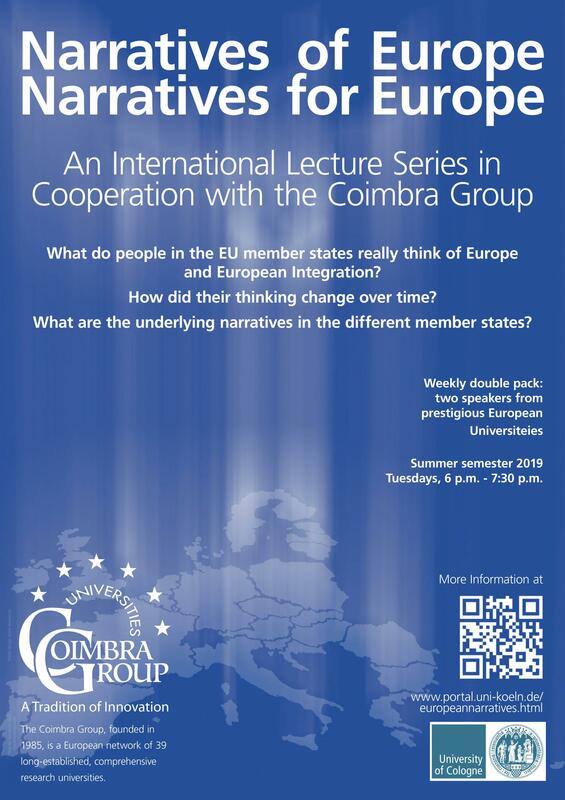 Lecture series "Narratives of Europe, Narratives for Europe"
The lecture series is organised by the University of Cologne and will start on Tuesday, 2 April 2019, at 6 pm (CET) and will continue every Tuesday until 9 July 2019. Furthermore, the series will be published as a video podcast on the Coimbra Group's YouTube channel. The lectures will be uploaded within a few days. On the occasion of the 20th anniversary of the Czech Republic's accession to NATO we are organizing an exhibition called "That Other Life". A number of powerful and emotional images from war zones will bring you closer to the atmosphere of foreign missions of Czech soldiers. You will have a chance to see photographs from places that are normally accessible only to military professionals and which show the current state of the Czech army, precious moments of rest as well as tense moments in the front line. The photographs were taken by soldiers themselves and professional photojournalists. The exhibition is a testimony of the lives of Czech soldiers in the most recent missions abroad - in Kosovo, Afghanistan, Mali and Iraq. More info on CU Facebook. Charles University Ball hosted on January 25, 2019 at Žofín Palace in Prague - enjoy its atmosphere in our report (even though it is in Czech). First Faculty of Medicine, Charles University announces a training course for acquiring qualification and professional competence (designing experiments and experimental projects) in the field of experimental animal use according to § 15d paragraph 2a) of Act No. 246/1992 On the Protection of Animals Against Cruelty. 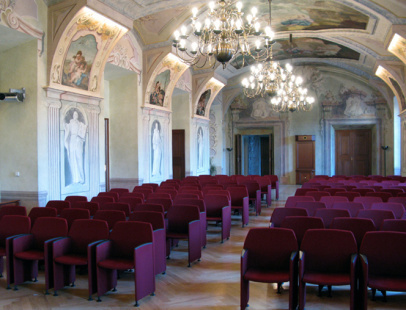 The course will take part on March 4 – 8, 2019. The course is designed for physicians, veterinarians and persons with a biological or related university degree. The attendees should provide a copy of the university diploma. The course starts on 4th March 2019, 8:30 (registration starts at 8:00). Course price: 7800 CZK, payment must be made before the course starts. We will accept applications until February 18, 2019. A minimum of 15 participants will be required to open the course. The participants will receive a final confirmation of the course till February 20, 2019. You will pay the fee after this date. More info and application here. We cordially invite you to the Charles University Ball hosted on January 25, 2019 at 8:00PM at Žofín Palace in Prague. Tickets for the general public will go on sale on December 13, 2018 and will be available either at Žofín Palace’s Box Office, Slovanský ostrov 226, Prague 1, or through the Ticketmasters network. More information is posted on this page. In recent years, authoritarian and xenophobic nationalist leaders have to come to power, or have consolidated power, in a significant number of countries in different parts of the world. In some other countries, political movements embodying such views, have made significant gains. The cause of international human rights, which had secured advances in the 1980s and the 1990s, has suffered major setbacks. Is it possible for those committed to the protection and promotion of human rights to regain the initiative? If so, how can it be done? We cordially invite you to the traditional pre-Christmas meeting of Charles University graduates (but also students and employees). 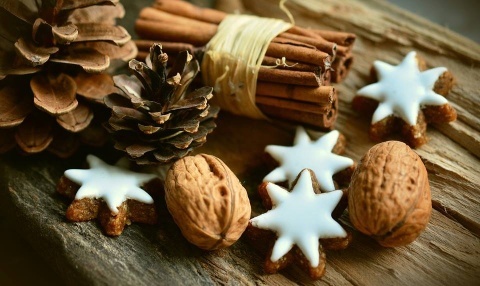 The get-together will take place on December 5th (starting at 15:00) at the decorated courtyard of Karolinum. Come and have a cup of tea or mulled wine with your classmates, colleagues and friends. Children are also welcome! • Saint Nicholas (Mikuláš) – sing a song or recite a poem! Professor Robert J. Aumann is a renowned Israeli-American mathematician who received his Ph.D. from MIT and is most closely associated with Hebrew University in Jerusalem. His ground-breaking work in game theory culminated in his receiving the Nobel Prize for Economics in 2005 (which he shared with Thomas Schelling). We would like to invite you to a one-day festival aimed at all who are interested in foreign languages and foreign-language learning. As an institution offering a wide range of courses of over 70 "live" as well as "dead" languages, the Faculty of Arts is for the first time joining the traditional European celebration of linguistic and cultural diversity, which takes place on 26 September every year. We would like to invite you to a series of concerts of chamber music starting in September at the Baroque Refectory in Profesní dům (House for Professed) in Malá Strana. This series of concerts will feature chamber ensembles of the PKF - Prague Philharmonia, including for example Belfiato Quintet, Quasi Trio, Czech Noneto or PFK - Prague Philharmonia Wind Quintet. We would like to invite the Charles University staff and the members of the CU Alumni Club to a traditional summer feast that will take place in the Wallenstein Garden on June 27th, starting at 18.00. 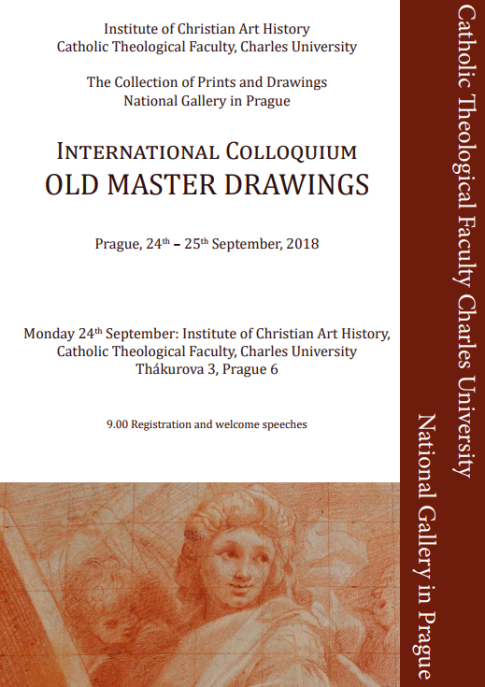 Please register via e-mail at: absolventi@cuni.cz. If you need a barrier-free access, please contact us at the e-mail address above. Address: Wallenstein Garden, entrance from the Wallenstein Square, Lesser Town, Prague 1. As part of the traditional CU Days abroad, a meeting with the graduates of Charles University living in Italy was held at the Czech Embassy in Rome at the end of May. The Rector of Charles University, prof. MUDr. Tomáš Zima, DrSc., and the Czech Ambassador to Italy and Malta, Hana Hubáčková, met with the CU alumni. In March 2018 Charles University representatives visited four Canadian universities in the cities of Toronto and Montreal. The delegation was led by the Vice-Rectors Prof. Jan Škrha and prof. Lenka Rovná. The main objective of these visits was to strengthen existing cooperation with Canadian universities and to establish a new agreement in the field of student exchange with Concordia University. There were also two meetings with Charles University graduates and compatriots living in Canada, with whom the Charles University representatives discussed the current development of CU and how the relations with its alumni are being maintained. Last Wednesday we had the pleasure to welcome you at Garden party at the gardens of the Czech Senate. Thank you very much for coming out! We believe you enjoyed it as much as we did! You can now look at the videoreport from the whole event. Photogallery can be viewed in the section "Photogallery". 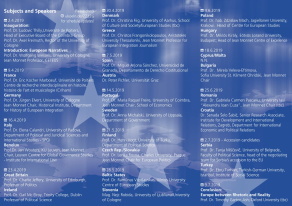 Rector of Charles University is inviting you to the lecture entitled "EU: a new start?" given by H. E. Roland Galharague, ambassador of France to the Czech Republic, on Thursday 22th June 2017 at 5 p.m. in the Patriotic Hall of Carolinum, Ovocný trh 3, Prague 1. 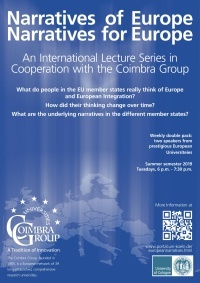 The lecture and the following discussion will be held in English. Please confirm your participation by telephone at +420 224 491 251 or by e-mail at rsvp@cuni.cz. Last issue of Alumni club newsletter has been sent to the members and subscribers. Members have been sent also an invitation to the Garden party held on 21st June. You can also download the newsletter on the following link. Ambassadors of the member states of the Organization of Islamic Cooperation in Prague (OICPG) in the Czech Republic under the auspices of rector of Charles University are inviting you to the symposium "Czech Republic and Muslim Countries" on Wednesday 24th of May 2017 at 9.00 a.m.
Blue Hall, Charles University, Ovocný trh 3, Prague 1. 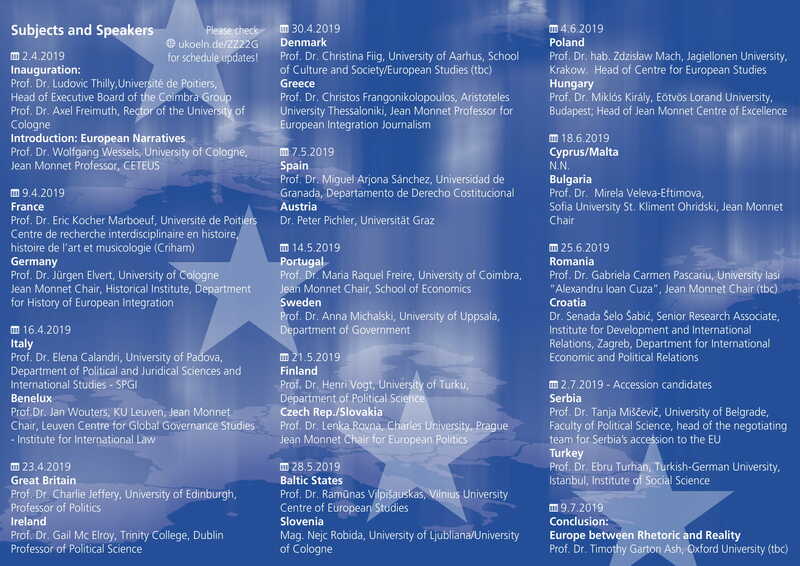 Institute of International Studies of Faculty of Social Sciences CU kindly invites to an international conference Commemorating the 70th Anniversary of the Marshall Plan: Past and Current Challenges of the Transatlantic Alliance. Conference will be held on 26th May 2017 in Vaclav Havel Library (Ostrovní 129/13, 110 00 Prague 1). The main speaker will be the transatlantic relations expert Daniel S. Hamilton, Johns Hopkins University/SAIS. May issue of Alumni Club Newsletter has been released. Charles University and Embassies of Ibero-American countries in the Czech Republic are inviting you to the lecture entitled "Ibero-america facing a global uncertainty context". WHEN: Monday 3rd April 2017 at 2.00 p.m.
For more details see the official invitation. Charles University and Embassy of Italy in Prague are inviting you to the lecture entitled "Judicial Cooperation and Reforms; Combating Organized Crime; Management of Migration Flows". WHEN: Thursday 30th March 2017 at 11.00 a.m.
You can download March issue of our newsletter together with the brochure full of benefits for Alumni Club members here. With each new issue of our newsletter in 2017, we would like to bring you more information about events and other activities of the Club, relevant to our foreign alumni, also in English language.